The walls of a house are its first line of defense against winter. 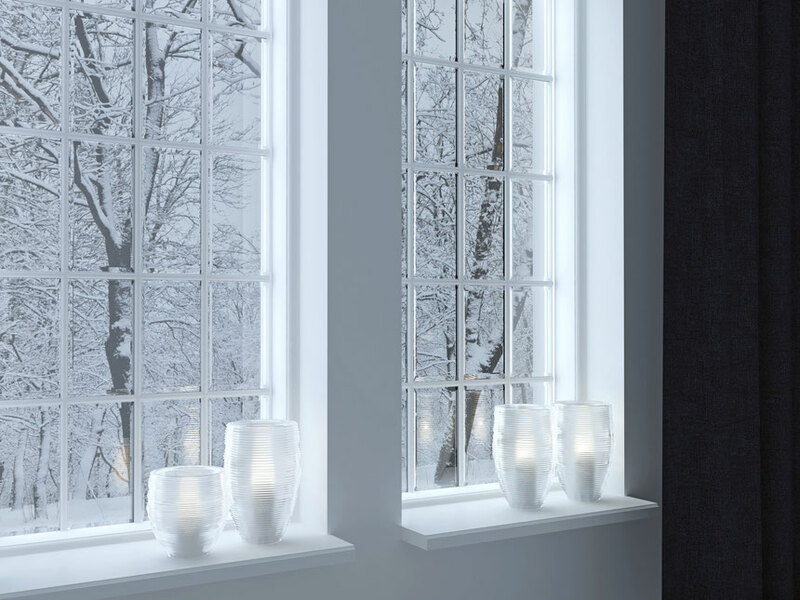 As freezing temperatures set in, now is the time to ensure your home’s exterior is ready to weather the wind, rain, and even snow that might lie ahead. Even in the Southeast, winter can be hard on a house. That’s why you’ll want to make sure there are no repairs that need to be made to the paint, siding, roof, fascia, or other parts of your home’s cladding. Take a stroll around the exterior of your property, and inspect each wall from the ground up. Is there any peeling or cracked paint? Any warped siding panels or weathered boards? Keep an eye out for signs of rot that might indicate a moisture problem and may require more than a fresh coat of paint to restore. Take note of any small piles of sawdust, or holes that could suggest an issue with insects or vermin, or could provide them an entrance when temperatures drop. If you do see any signs of wear and tear, you’ll want to have the cracks caulked, damaged siding replaced, peeling paint scraped and repainted, and replace any flashing around windows, chimneys, and roofing seams if it’s warped, damaged, or pulling away from the surface of the house. You want to be especially sure that your home is moisture tight in winter, when freezing temperatures could cause water to contract and expand, exacerbating damage. Clear leaves and other debris away from the foundation of your home and take the opportunity to look for cracks in the foundation or signs the house is settling unevenly. Close basement vents to help your home retain heat and purchase protective insulators for your water spigots and other outdoor plumbing. Clear any lint away from your dryer vent and make sure there are no obstructions around the vent. Make sure the ground is clear around your HVAC unit, too, so it doesn’t struggle with intake. If you’re hopping on a ladder anyways to hang holiday decorations, you’ll have a chance to check on the roof, too, and see if any shingles are missing, if the gutters are clear and evenly hung. Remove leaves and other debris from the roof and gutters that could create clogs, give critters a path up to your attic, or damage the shingles. A higher vantage point can also help you see if any nearby trees or other vegetation might fall or drop limbs on your home. Ice and winds can both weaken limbs and whole trees, and you wouldn’t want to risk major damage. Now is also a great time to evaluate your home’s energy efficiency through your local power utility. You can have an audit performed that will let you know if your windows are letting the cold in, if you need to insulate outlets and light switches, or if your home would benefit from new attic insulation or moisture barrier and insulation in your basement or crawl space. A new thermostat might also be in order. If you pop out to the hardware store for weather stripping and other supplies, don’t forget to pick up a de-icing product for your front stoop, concrete pathways, and driveway so you don’t slip on a patch of ice. As the old saying goes, an ounce of prevention is worth a pound of cure. Even though winter weather is rarely severe in Chattanooga, Tennessee, it can be unpredictable. By giving your home a once-over now at the start of the season, you can prevent the need for costly repairs down the road.